The high flying Norwich City will play the Blues at home in Round 28 of the English Championship. Yellows are third in the league table with 50 points. A win would send them to the second spot and will reduce the gap with the toppers Leeds United by a point. The Canaries have been in red hot scoring form with a total of 49 goals so far but failed to defend their own goal conceding 35 in return. 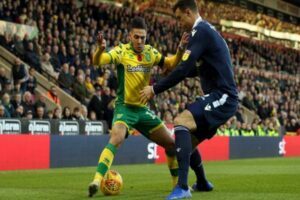 Norwich will be without midfielder Alex Tettey and defender Timm Klose for the Championship match against Birmingham on Friday night. Birmingham boss Garry Monk will not take any risks with forward Isaac Vassell after his return to action. Vassell made a first appearance after 14 months out with a serious knee injury and then a hip problem when he came on for the closing stages of last weekend’s home defeat by Middlesbrough, so should be in the squad again. We also welcome Bundesliga at today’s coupon with the clash Hoffenheim – Bayern Munchen, and of course action from Spain, France and many more.